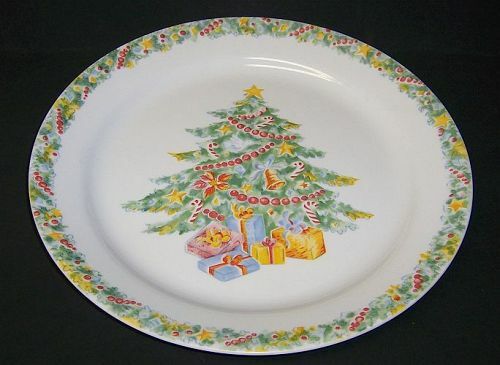 This is a really nice Corelle Christmas Joy 10 1/4 Inch dinner plate made by Corning Glass. This plate is signed CORELLE by CORNING MICROWAVABLE NO BROILER OR STOVE TOP MADE IN U.S.A. It is in very good condition with no chips, cracks or scratches. The Christmas decoration is all very good. Be sure to search our other kitchen glass available. We guarantee items to be as described. THANK YOU.